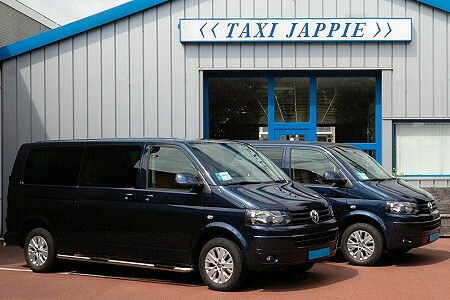 Even when you are traveling as a group or when you have a lot of large luggage, Taxi Jappie can be of service to you. 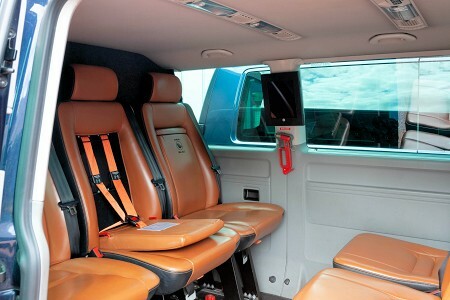 We have luxury 6-and 8-seater buses that we can reserve for you. This way you can still travel with the whole family to Schiphol airport or to your favorite restaurant, no parking problems and everyone can relax with a drink. Small children? Our 6-person bus is even equipped with 2 integrated children´s chairs. Or think of the winter sports, you have to go to the airport, train or bus station and you would like to bring your own skis. Due to the luxurious look of the interior, our buses are also very suitable for business transport. This includes not only the rides to Schiphol airport or hotel, but also a drive along a new project or displaying a piece of Holland to your international guests. Our 6-person bus has the possibility for 4 people to be seated facing each other, which makes the bus very suitable for a business meeting during a longer ride. And of course these buses also are equiped with air conditioning and a navigation system. You can always contact us for more information or a reservation.